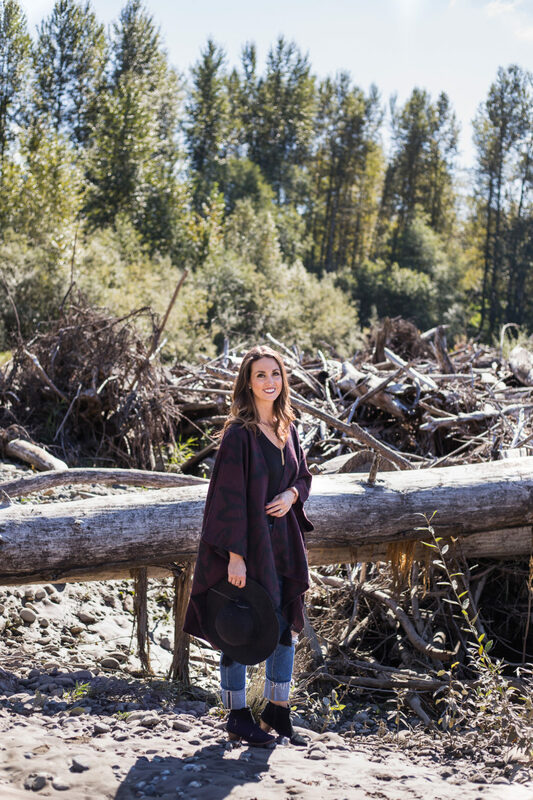 It’s time to spruce up those fall wardrobes! I spend so much time on my decor and I’ve realized over the past year that it’s time to stop wearing the same handful shirts and mix it up a bit. 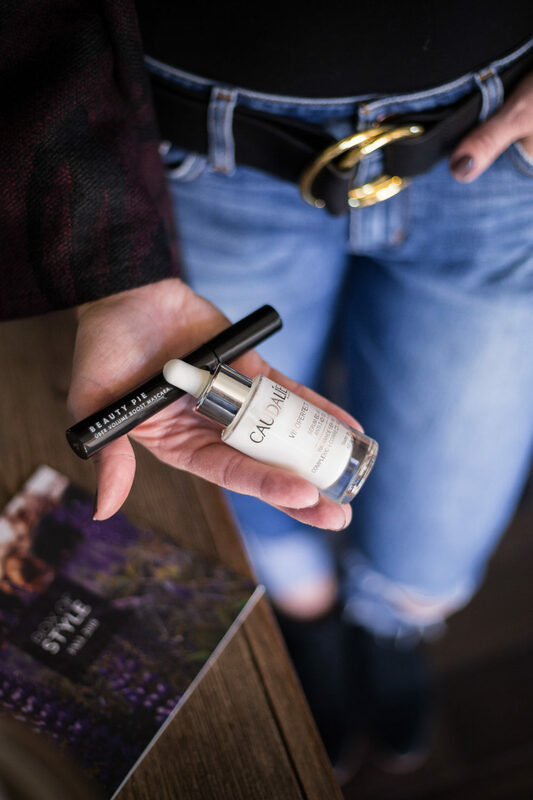 I have been on the hunt for some trendy new pieces to add to my closet this season, so I decided to try out the Box of Style by Rachel Zoe. 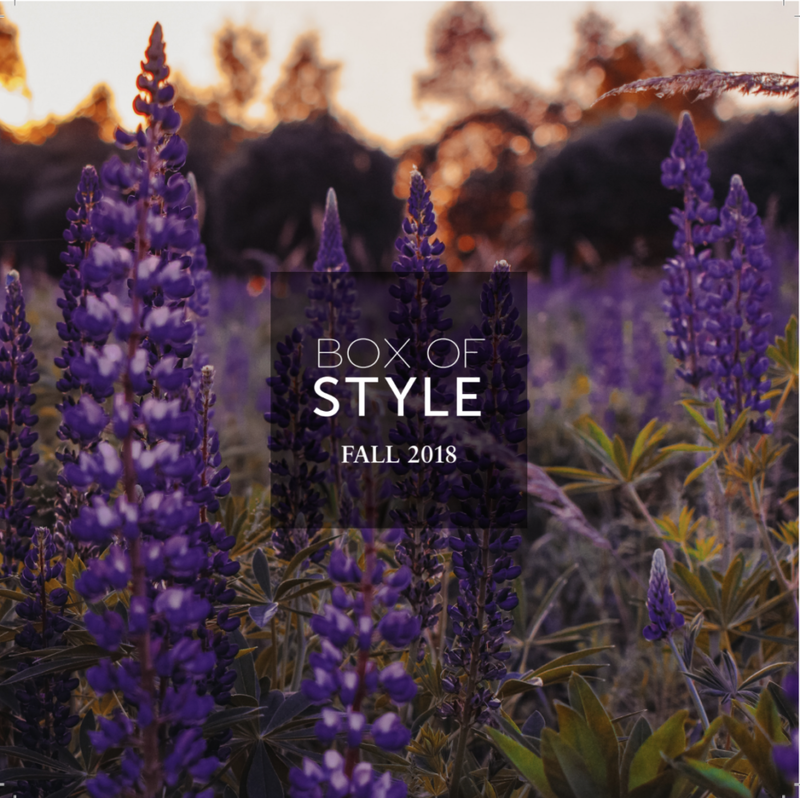 So have you heard of the Box of Style? It’s a luxury subscription box filled with hundreds of dollars of amazing products and you only pay $99, well $75 if you use the promo code. Looking at the quality of these pieces and how timeless they are, I am honestly going to say this is a great deal. A new box comes out four times a year, you can pay for a seasonal subscription or year-round! Use the code tarynW25 for $25 off your order! I got the Fall 2018 box and today I’m going to show you how I used all the pieces and styled them for three different looks. 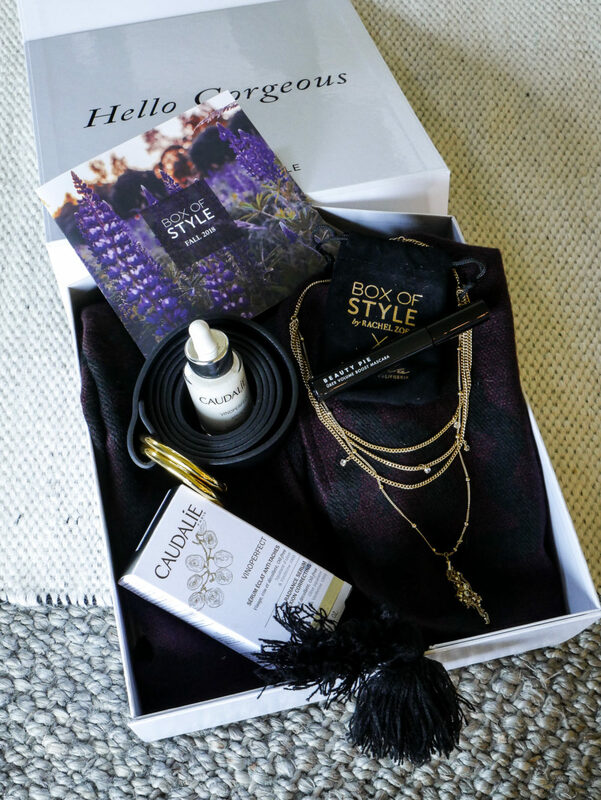 This season’s box included this beautiful Cleobella Sevigny Capelet, Caudalie Vinoperfect Radiance Serum, B-Low The Belt Camille Wrap Belt, Ettika Chloe Tassel Necklace , Beauty Pie Über Volume Boost Mascara. We live out in the country so I tend to dress more on the causal side from day-to-day but also want to dress it up a little if I’m out shopping or meeting friends for a girl’s night. For this casual look I paired the caplet, necklace and belt with a pair of relaxed boyfriend jeans, black booties, and a black bodysuit. I belt the jeans and left the caplet open for a more casual look. 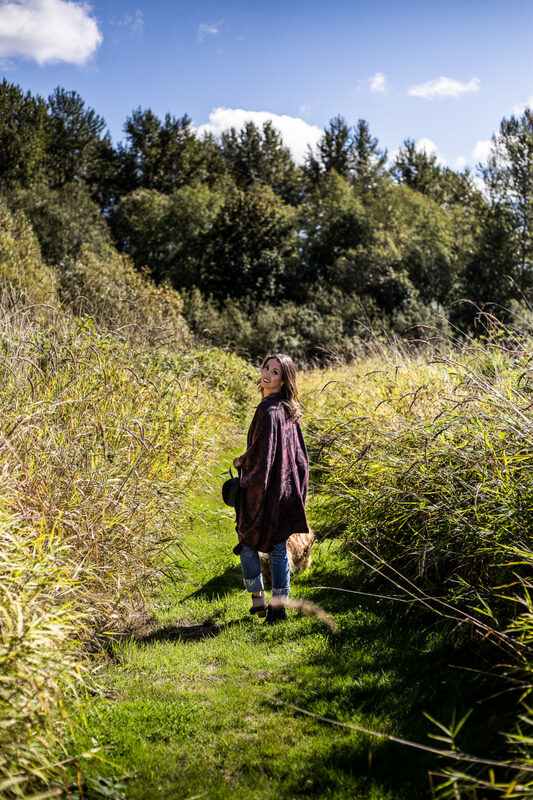 I love how this earth tone caplet pairs with alllll my neutral clothes! I mean, that’s pretty much my whole closet right there. The beautiful rich Burgundy color and those adorable little tassels. And can I can you something, this pieces is warm! It will definitely keep you toasty on a cool fall day. This next look is for those casual nice occasions, like dressing in my Sunday best or needing to look a little more put-together for work meetings and events. I paired the pieces from the Box of Style Fall Box with a denim dress, black boots and a black hat. While a little on the dressier side, this look is actually really comfy. The caplet feels like I’m wearing a robe, or curled up in a blanket. I’m all for it. On the rare occasion we get a chance to go out on the town, I do like to dress up and feel fancy for date night! For this luxe look I went with a pair of off-white dress pants, heels, my same black bodysuit as the casual look and a cute clutch. Order Your Box You can still order the Fall Box ! Or sign up for a year long subscription. use promo code tarynw25 for $25 off your order! Love the looks…where did you get the boyfriend jeans and jean shirt dress?